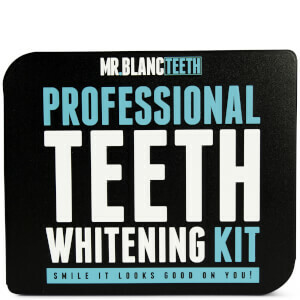 Discover the enamel-friendly teeth whitening strips from Mr. Blanc here at Mankind. 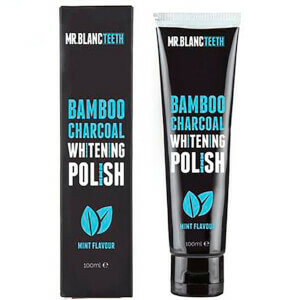 Mr. Blanc are a non-peroxide teeth whitening company for natural teeth. Preventing a build-up of stains, these clinically tested strips cause no sensitivity to teeth or gums, helping customers to achieve a whiter smile. How Does Mr. Blanc Work? 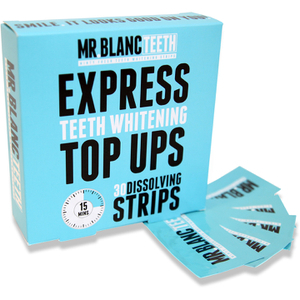 These enamel friendly strips safely whiten teeth in just 14 days. By working both on and beneath the surface of the enamel, they take away any stains and discolouration without damaging the protective enamel. It also prevents new stains from appearing so you can be proud of your bright, healthy-looking smile. 1. Open Packet – Start by opening the packet to reveal the two teeth whitening strips. 2. Dry Teeth – Wipe your teeth with a towel to dry them, this will make sure that the strips adhere to them and work effectively. 3. Apply Strips – Place the strips onto your teeth and leave them for 30 minutes. Remember to avoid eating or drinking. 4. Remove Strips – Peel off the whitening strips and throw them away. Rinse away any existing gel from your teeth and enjoy your smile.